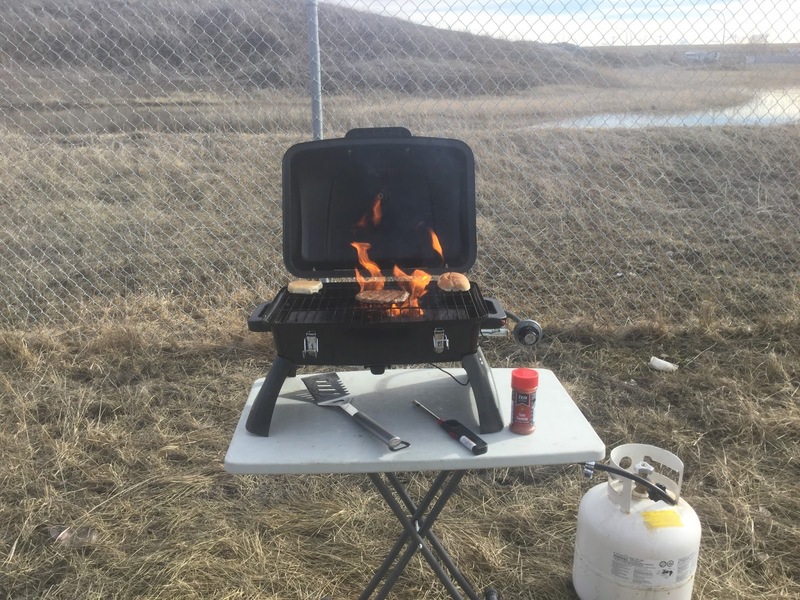 Okay, so I have been BBQing this year since Saturday, when I decided to actually start up the BBQ for the season. 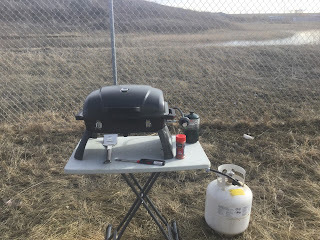 I started using up the last of the propane that I had in the small bottles that run my portable BBQ. I hate using them not only because they are wasteful but they are expensive! That little bottle is only 1 pound of propane and it costs me about $7.00. When you compare that I can fill the 20 pound bottle of propane (sitting next to the table) for about $12.00, you can see how extortionistically expensive they are. 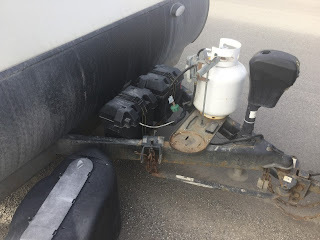 This is why I have finally tracked down a single hose to connect the 20 Pound bottle (from the front of Wanda) to the mini BBQ. This way, when I want to BBQ I just disconnect one bottle from the front of Wanda (making sure to turn both bottles off fully before disconnecting) and pull that bottle over next to the BBQ. This way I can use the propane that I buy cheaply and not use those small bottles or have an extra bottle for the BBQ. 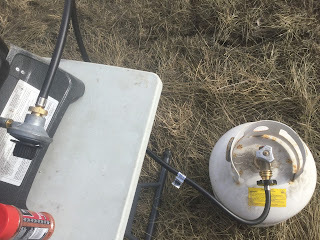 Wanda does have a “convenient” hose connection so I don’t have to disconnect a propane bottle from the front. The trouble with that is 1) that hose is stupidly expensive and 2) I would need to buy a long hose to use the BBQ and not have it right next to the trailer. This would make it at least 15 feet of hose and would waste the propane when I disconnect the hose. This hose is 3 feet long, if that and I can haul it anywhere I want. So, here I am enjoying the fruits of my labours! So if you have a similar situation, I recommend this small hose as a simple solution to this dilemma.